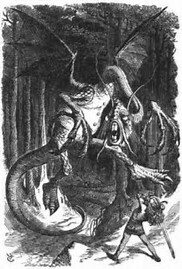 Jabberwocky by Lewis Carroll | Poetry Foundation, Jabberwocky. This entry was posted in ahimsa, America, animals and humans what are our primary attributes?, apostasy, artists in conflict, attributes, barbarian, belief, Beliefs, beloved, Borodin, British Band, civil disobedience, civilization, Cloth, common moral law, conduct, corinthians, daily devotion, dance as tribute and tagged Jabberwocky, Kumar Gandharva, Lewis Carroll. Bookmark the permalink.